The Boy Scouts of America do good, we all know that. And now they do invention. The 100-year-old organization–it celebrated its centenary on Feb 8 of this year–has teamed up with the Lemelson-MIT Program, founded by the father of modern invention in America, Jerome H. Lemelson, to provide a new merit badge: that of invention. Sounds like a subtle rebrand to me–and if rebranding is good enough for the BSA’s sisters, then it’s good enough for them. As well as providing the chance for scouts to learn new skills, the BSA is appealing to the YouTube generation. What geeky teen hasn’t watched OK Go’s Rube Goldberg-inspired video and thought to himself, “I wanna do that.”? Aside from defining what patent infringement and intellectual property is, there’s the practical aspect to the test, where scouts are expected to build a clay model and then a working prototype of their invention. These days, perhaps scouting is not seen as the ideal breeding ground for ideas, but the campfire was one of the most important inventions ever. As was, several days later, the campfire singalong. Several of MIT’s professors started their geekery in the American Boy Scouts, including Edward Crawley, the Ford Professor of Engineering. He was even given a badge last month at a ceremony at MIT. 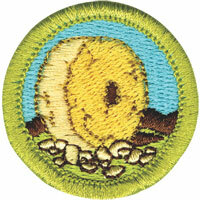 The most recent merit badge was for Composite Materials, but that was back in 2006. 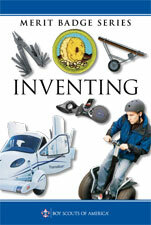 Invention will be followed by Geocaching and Robotics, the latter of which will be amazing. Can’t wait to see what the badge looks like, either. And how proud will their moms be?